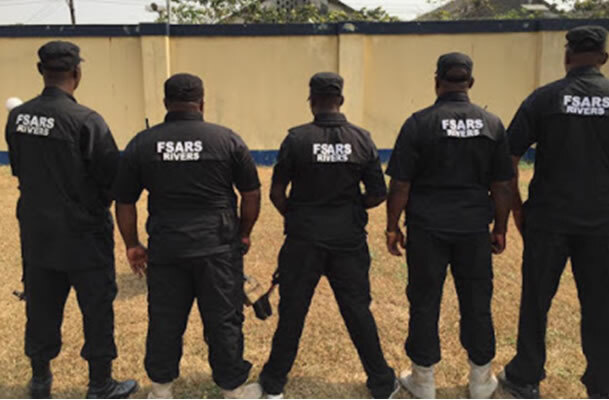 Four dismissed officers of the Special Anti Robbery Squad were arraigned before an Ikeja High Court, Lagos over accusations of corruption and abuse of office. Bishop who wrote the petition on May 2, 2918, alleged that sometimes on June 4, 2017, he was in his house around Alagbado area of the state, when four armed men stormed his house to effect his arrest on the allegation of performing ‘FAKE’ miracles. According to Aguegebobo, the defendants’ offence is a bailable offence. He also added that investigation on the matter had been concluded by the police. Meanwhile, the prosecuting counsel, Adeola Odumabo, however, did not oppose the bail application. “One of the sureties must be a blood relation while the other must be a police officer not less than an Inspector. The defendants are to be remanded in prison custody pending the perfection of their bail,” the Judge ruled. The matter was thereafter adjourned till October 15, 2019, for trial.